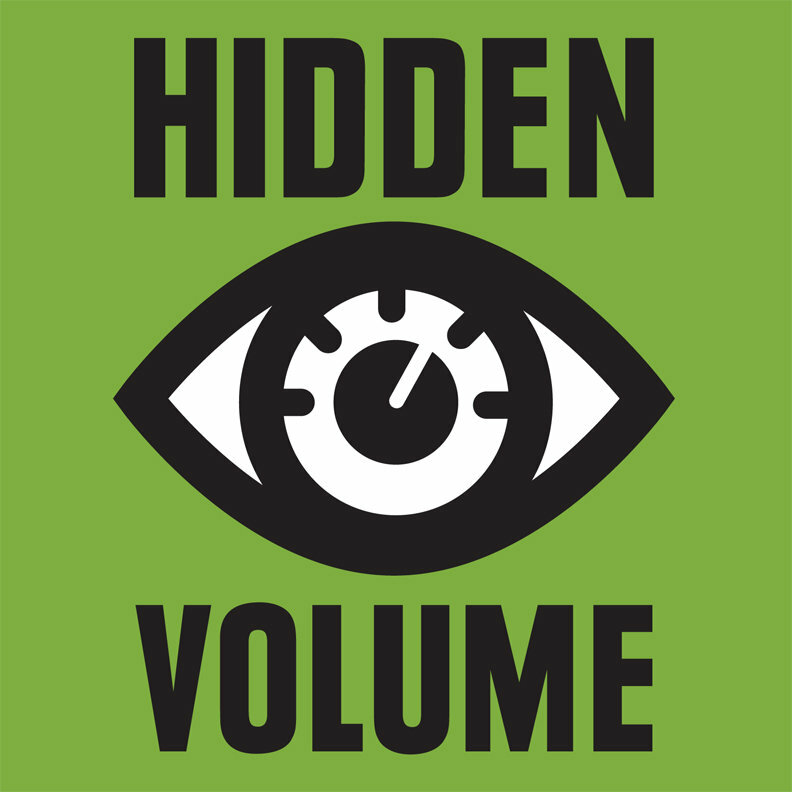 THIS IS THE PISS YELLOW VERSION: Coming to you directly from the heart of Philadelphia, Hidden Volume presents RunHideFight. 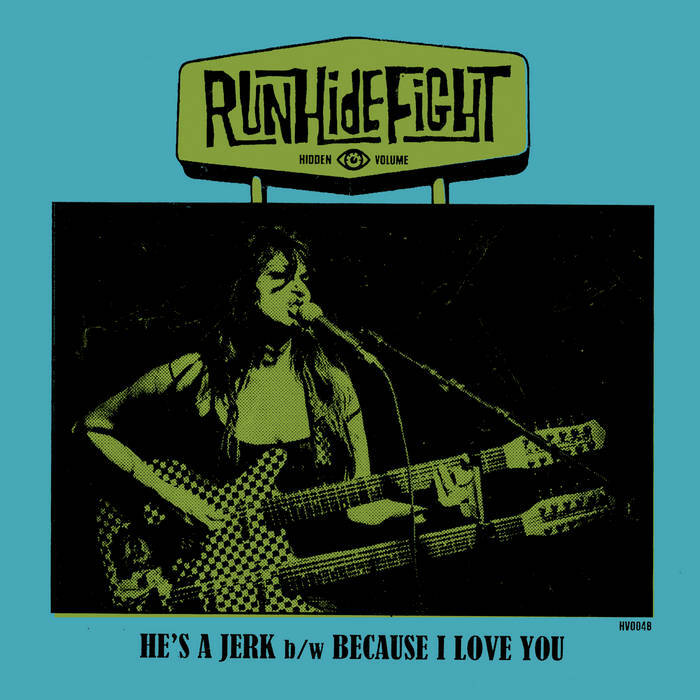 Part super-group, part super-fun RunHideFight features the talents of garage/punk PA legends from The Original Sins, Creatures of The Golden Dawn, Three4Tens, Rockula and more. 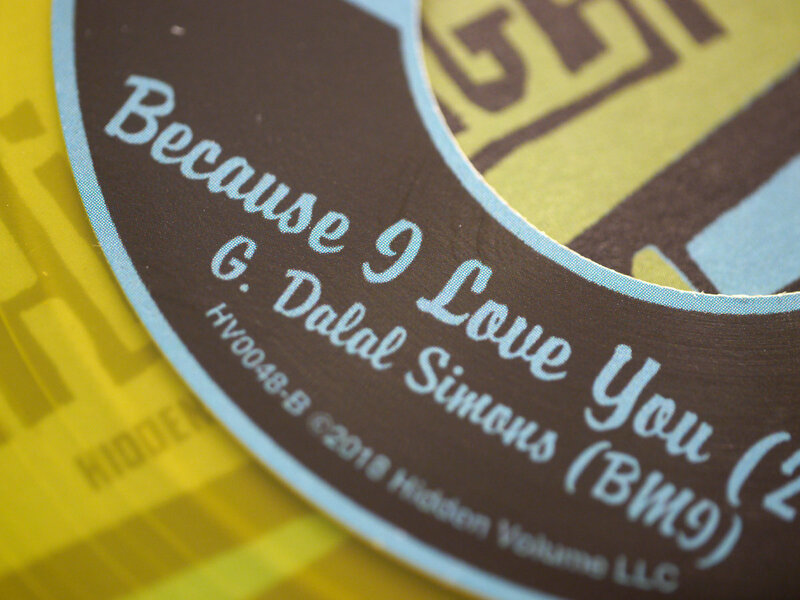 Their debut single mixes this polyglot of garage sneer, Bollywood flavor and powerhouse rock and roll into two tight and catchy sides of wax. “He’s a Jerk” sticks like bubblegum on the seat of your pants from the get go with Geeta’s mind-shattering howl and unforgettable chorus, it’s two minutes of garage perfection. 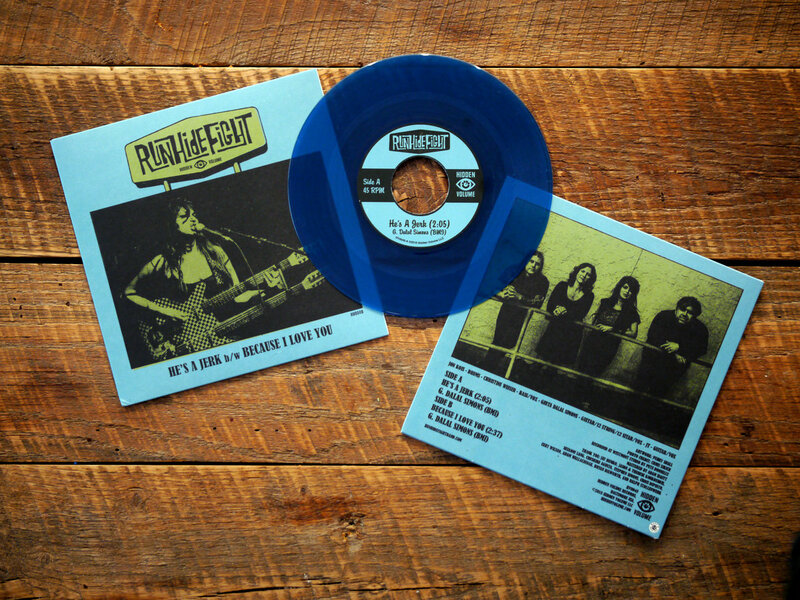 The B-side begins with a Medway buzz but travels half the world over to deliver a fuzzy kick upside the head.Play this LOUD. 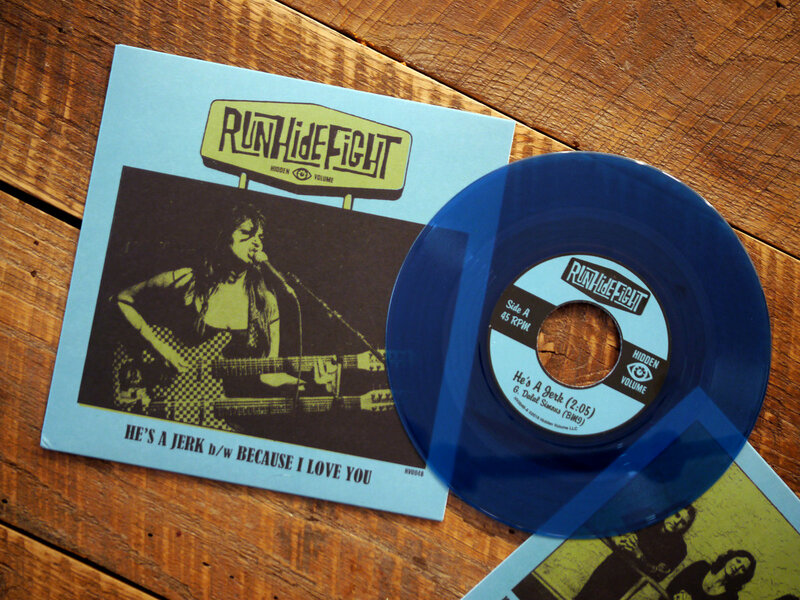 Produced by Pete Donnelly (The Figgs) and mastered by Adam Isgitt. SUPER LIMITED EDITION. Comes in jacket designed by Perry Shall. 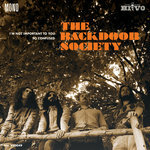 Includes unlimited streaming of He's a Jerk via the free Bandcamp app, plus high-quality download in MP3, FLAC and more. 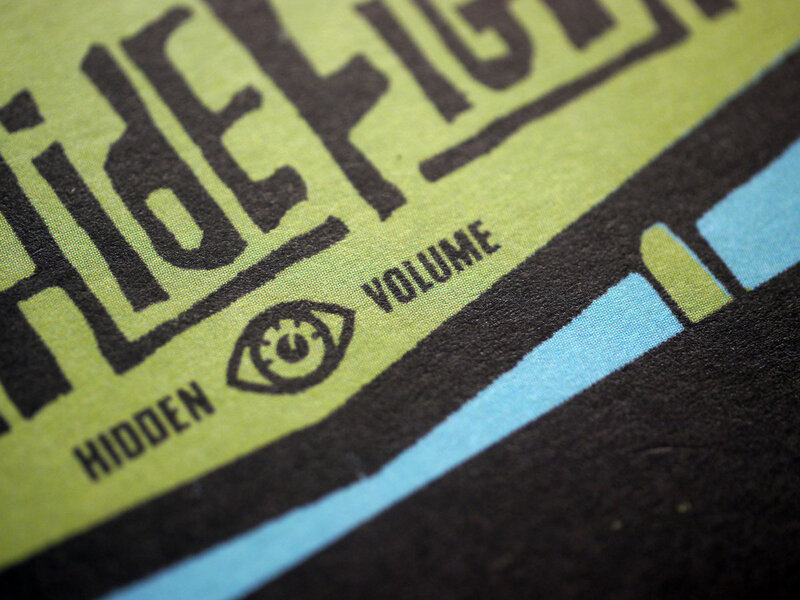 THIS IS THE SEA BLUE VERSION: Coming to you directly from the heart of Philadelphia, Hidden Volume presents RunHideFight. Part super-group, part super-fun RunHideFight features the talents of garage/punk PA legends from The Original Sins, Creatures of The Golden Dawn, Three4Tens, Rockula and more. 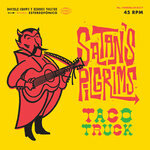 Their debut single mixes this polyglot of garage sneer, Bollywood flavor and powerhouse rock and roll into two tight and catchy sides of wax. “He’s a Jerk” sticks like bubblegum on the seat of your pants from the get go with Geeta’s mind-shattering howl and unforgettable chorus, it’s two minutes of garage perfection. The B-side begins with a Medway buzz but travels half the world over to deliver a fuzzy kick upside the head.Play this LOUD. 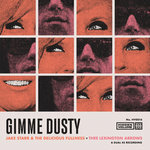 Produced by Pete Donnelly (The Figgs) and mastered by Adam Isgitt. SUPER LIMITED EDITION. Comes in jacket designed by Perry Shall. 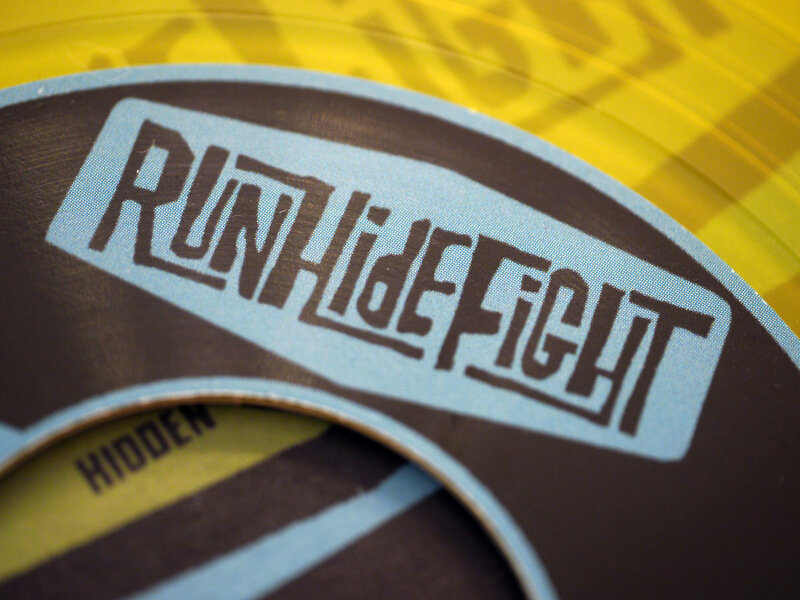 Coming to you directly from the heart of Philadelphia, Hidden Volume presents RunHideFight. 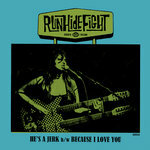 Part super-group, part super-fun RunHideFight features the talents of garage/punk PA legends from The Original Sins, Creatures of The Golden Dawn, Three4Tens, Rockula and more. 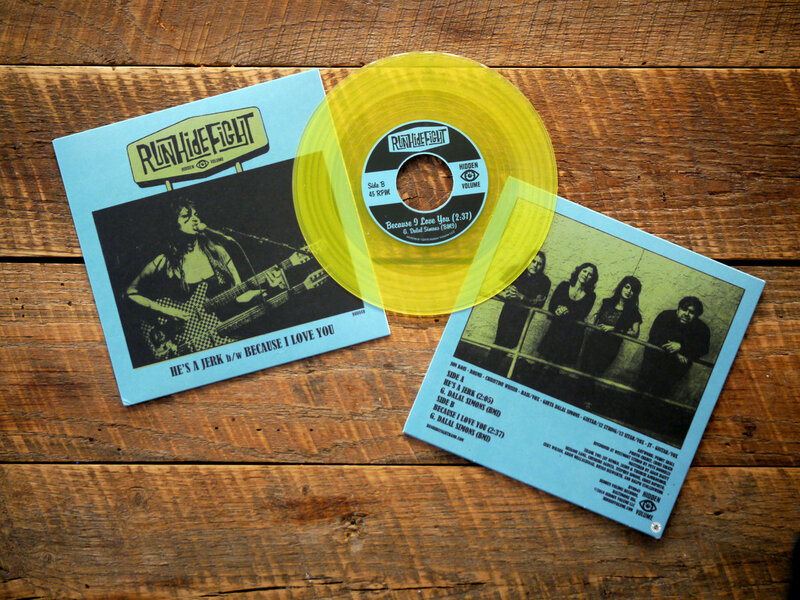 Their debut single mixes this polyglot of garage sneer, Bollywood flavor and powerhouse rock and roll into two tight and catchy sides of wax. 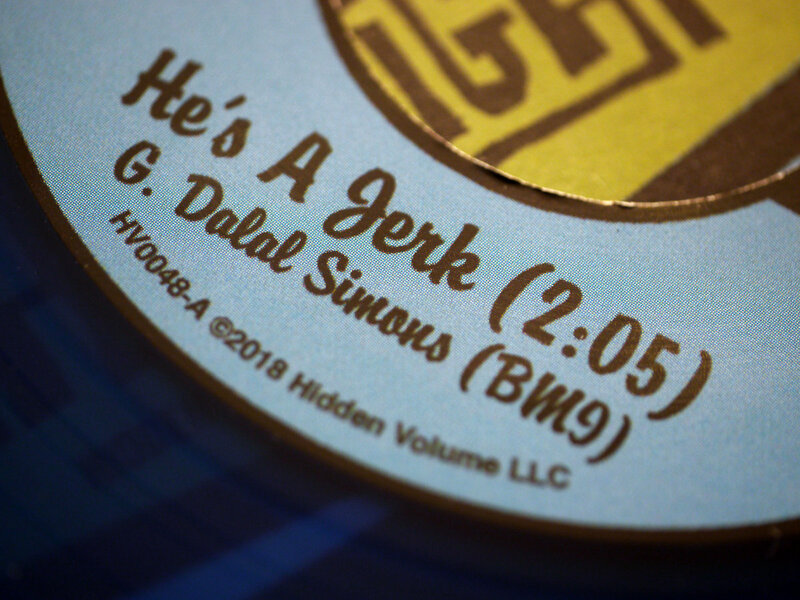 “He’s a Jerk” sticks like bubblegum on the seat of your pants from the get go with Geeta’s mind-shattering howl and unforgettable chorus, it’s two minutes of garage perfection. 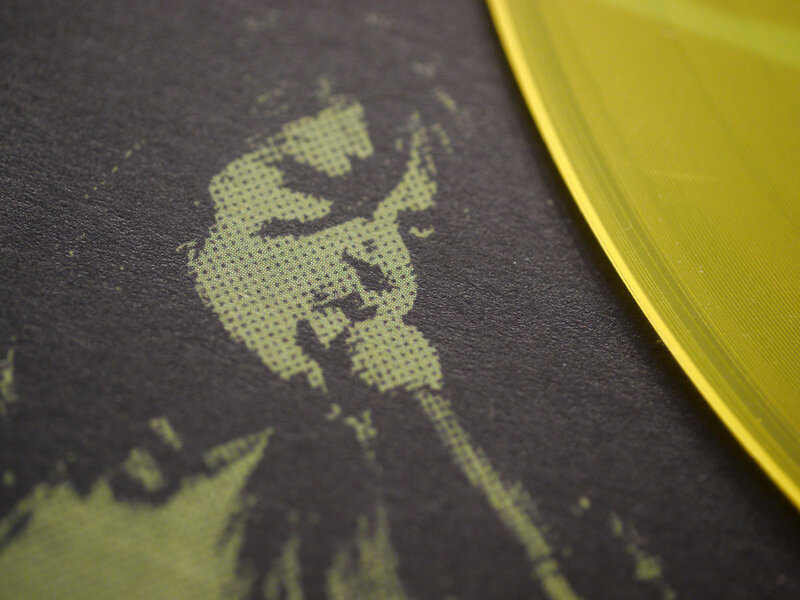 The B-side begins with a Medway buzz but travels half the world over to deliver a fuzzy kick upside the head.Play this LOUD. 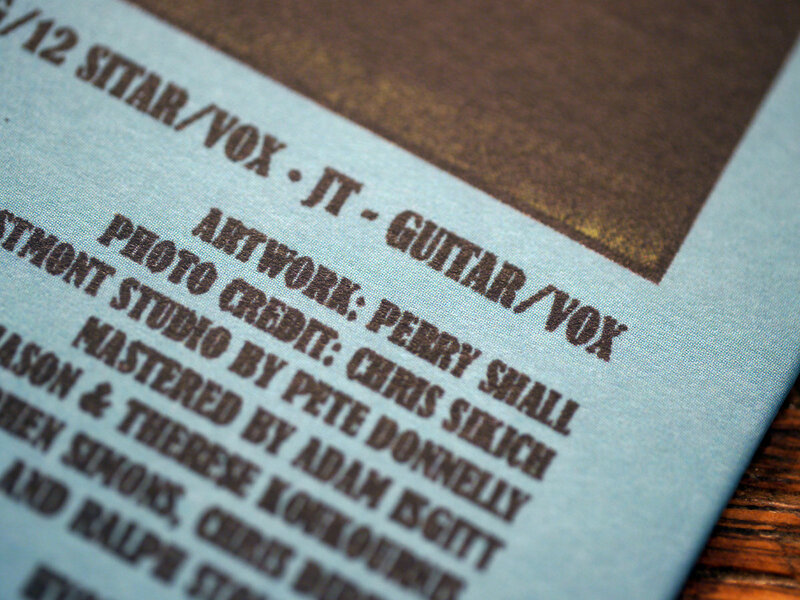 Produced by Pete Donnelly (The Figgs) and mastered by Adam Isgitt. 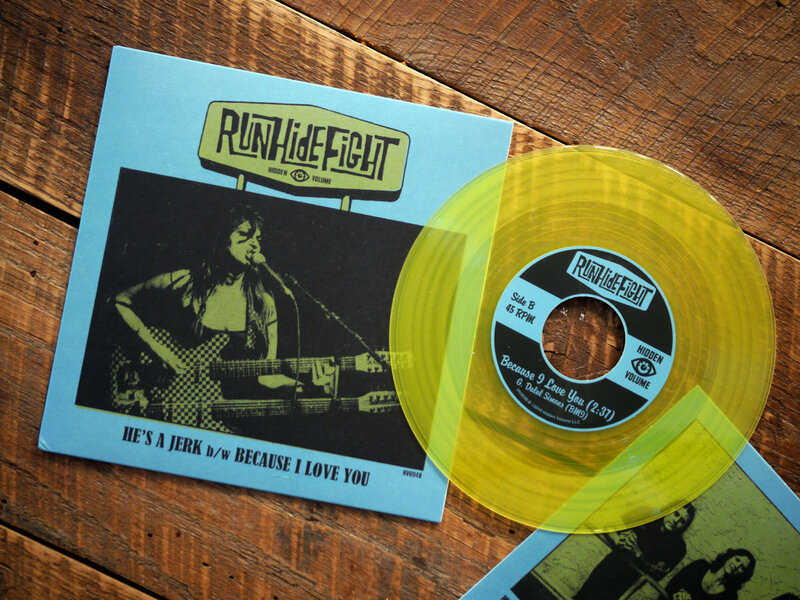 SUPER LIMITED EDITION: 50 “Piss Yellow” and 50 “Transparent Sea Blue” vinyl, comes in jacket designed by Perry Shall.